March was a pretty good month - I got all my new gear - cameras, lenses, microphones and tripods. If you want to see what I got, I made a video about it on Planet Keef. And in between learning how to use all this new equipment, I managed to produce 6 videos. March was pretty terrible weatherwise. We had the Beast From The East, twice, snow at Easter, and just general cold wet windy gloomy depressing nastiness. So I'm looking forward to better weather in April, and being able to get a lot more shed time because I've got a major project I need to be getting on with. 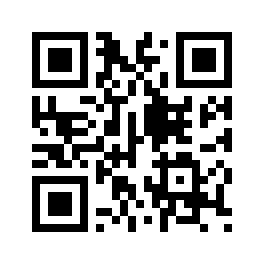 And March is the first anniversary of me producing these newsletters, so break out the bubbles! 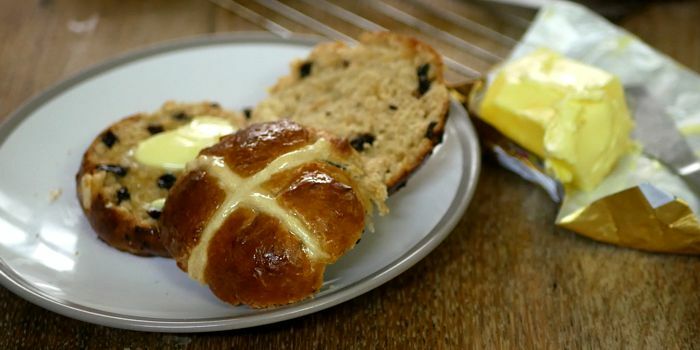 Hot cross buns are traditionally eaten at Easter time, specifically on Good Friday. Served warm with a generous dollop of melting butter, they are delicious. These meatballs originated in the city of Königsberg, which used to be in East Prussia, was in Poland for a while and now belongs to Russia. 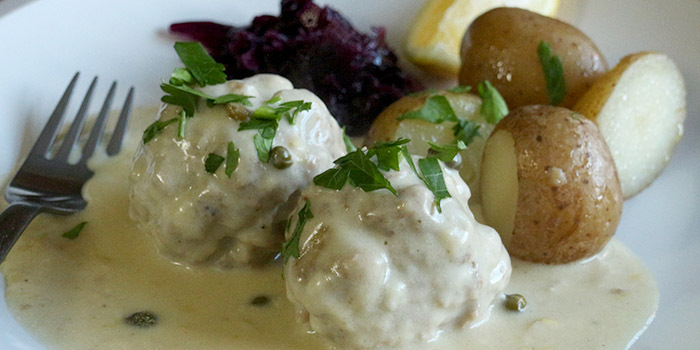 Many countries have their own version of meatballs, but what makes this recipe unique is the lemon and caper sauce that goes with it. Very tasty! In days gone by, this would have been cooked in an iron pot suspended over an open fire. I struggled to find a chunk of bacon in one piece, so I used a gammon joint instead - it had the fat and rind on, which adds to the flavour enormously. 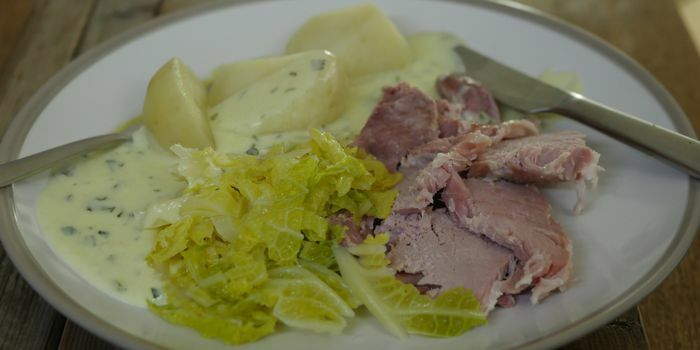 If you can get mutton, that's ideal for this dish, but if you can't, use lamb. You want it to have some fat on it, and on the bone is better - chops are ideal, or maybe shanks. Lean diced lamb isn't really the thing here - we need the fat and bones for flavour. 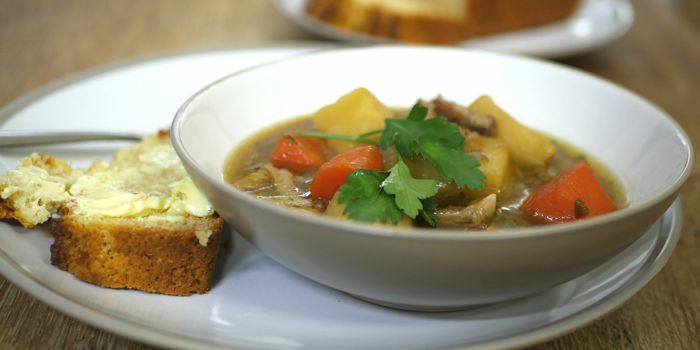 If you decide to use beef, then it's not Irish stew (though it would still be very nice), and this is one thing that you definitely shouldn't put Guinness in - save it for drinking! There are many variations on the theme of cheesecake the world over. However, the principle is generally similar - a biscuit base (although some are crustless) and a baked, set filling made of some kind of soft cheese and eggs (although some are not baked). 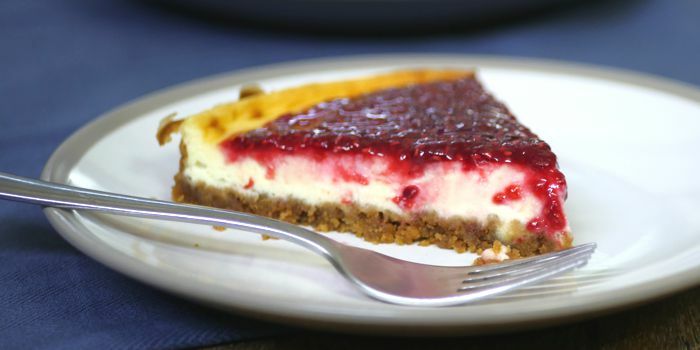 This recipe is for a baked cheesecake with biscuit base and a raspberry compôte topping. This Northern English (actually probably Lancastrian) delicacy is a staple of chip shops and football matches. 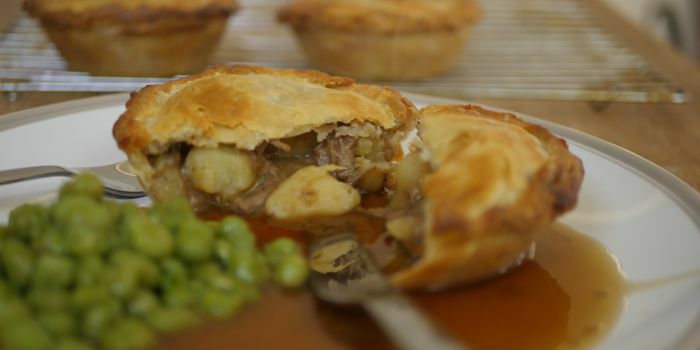 Unnamed meat - usually the cheapest possible beef, potato and onions make for a tasty savoury filling that is pure comfort food.